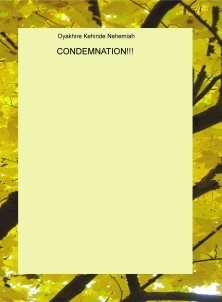 Keywords:: Why do we condemn people and their efforts? Remember brethren in the Lord, that they celebrated the birth of day of Jesus Christ, when it was eight days, like other Children in those days of the Scripture. Well, Im trying to express my own point of view concerning this celebration. This book explains how we should celebrate it without condemning ourselves.